No clue. It never crashed for me before and not a single person has reported a crash. Maybe you deleted some of the folders? Try to download the latest version again and overwrite all the files. 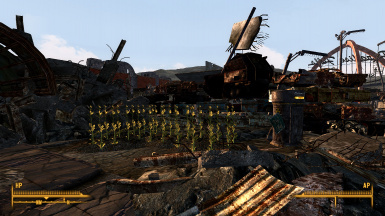 The only other thing I can think of is that you might be using another mod which edits the same cells but even then, the game should be able to load my crops / characters even if they are mixed with the other's mods objects. Try loading my mod at the bottom of your load order too. 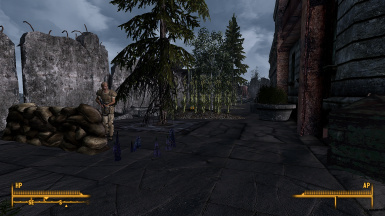 How well does this mod 'play' with mods like Arefu expanded', DC Interiors and Canterbury Commons Overhaul? Canterbury Common Mods didn't agree with it, but the rest did. Such a small details but adds that extra immersion. 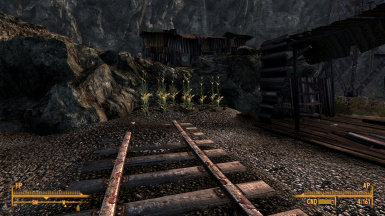 Would you consider adding variations of plants? Like tatos? A complaint i do have about the farmer ghoul section. I would like their farming area to feel more 'lived in' I guess. Like these guys are actively hanging out here. I saw the video, how many dialogue options there were, and I insta-downloaded the update. 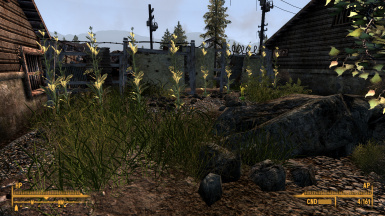 Have you thought of adding more characters to tend the crops of other settlements? 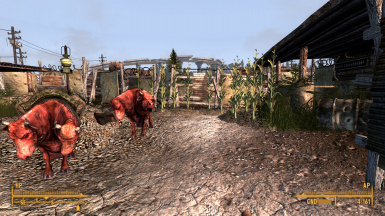 I know there are a lot of settlements, so adding interesting farmers for all is hard, but if you're short on voice actors, I absolutely volunteer. 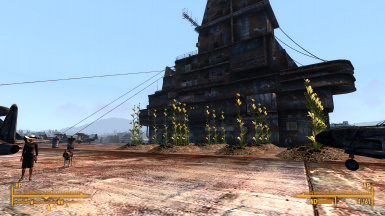 I already have this idea that the guy tending the crops in Megaton could be the original Guinea Pig for Moira's book, but the research left him permanently disabled, and now he tends crops and walks with a limp. He'd implore you to stay away from the quest, but reluctantly give advice on how to survive while researching the various chapters. Anyway, it's just an idea. 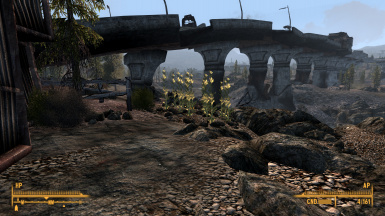 Fo3 Wasteland becomes more and more lively. Thank you vegaswanderer. I for one would love to see this in TTW err since others have also asked. 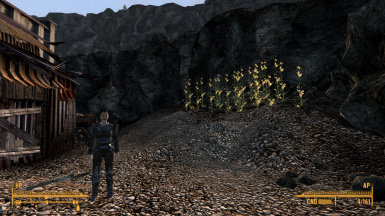 It would be nice if there was a TTW version of this mod, that uses New Vegas crops. That's how I got into modding. Is the Republic of Dave covered in this mod? EDIT: It shoud be in the current uploaded version. Let me know if it isn't so I can upload the new one where it certainly is. 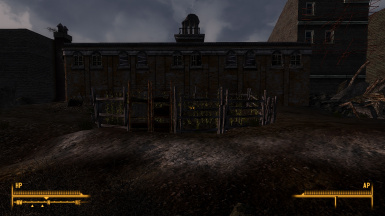 so umm...the crops kinda, solid static I suppose I mean, you can't walk through them like in NEw Vegas. 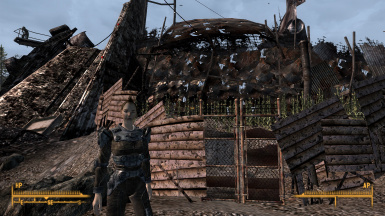 also does it possible to add npc scripting for them to make them kinda work on them? 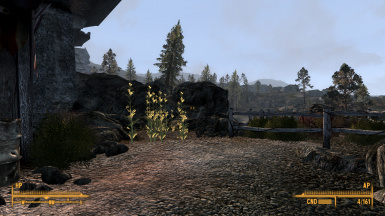 ya know, like in goodspring settler will tend on their crops. no offense just asking, btw this great mod. 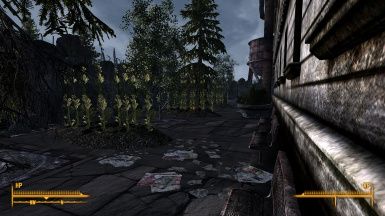 Next version already includes some characters that water the crops in certain settlements. More to come in following versions. The update will be up "soon". 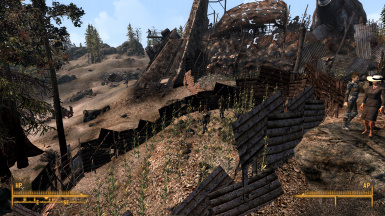 Would it be possible to add Fort Bannister to the list of settlements for crops being added? I was wondering since its the main base camp for Talon Company. Yes, it's already done. 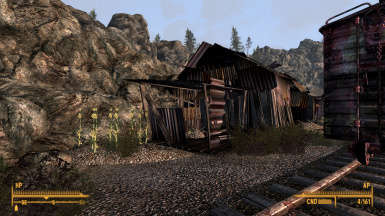 I was fiddling with other settlements before uploading a new version but I might as well get a new update out there in the next few weeks. I am a sucker for Inmersion mods. Kudos to you (and CarrotFerret) for the idea. 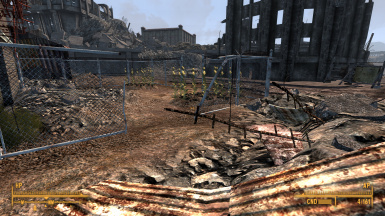 I wonder though, if this mod is compatible with Canterbury Estates -Some Ideas (http://www.nexusmods.com/fallout3/mods/21046/?) 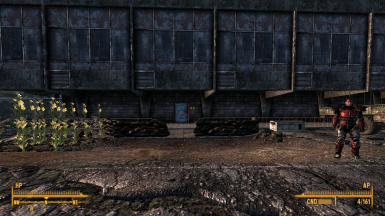 and Rivet City Reborn (http://www.nexusmods.com/fallout3/mods/21214/?). Edit1: Well, Rivet City Reborn is definitively incompatible. If you want both mods in your load order, you'll have to use the modular option. Edit2: For the life of me, I can't find any crops in CC with Canterbury Estates -SI loaded. Aside that, you can play with both mods together apparently. I will endorse this and the modular option. Hey Dennai, sorry for the late reply. Thank you for endorsing. 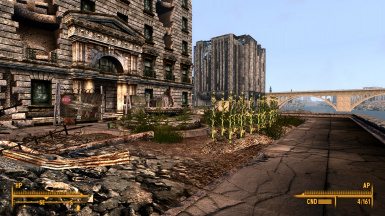 Yes, Rivet City Reborn changes so many things that a compatibility patch is highly unlikely. I wouldn't be the one doing it, at the very least. And I have yet to try Canterbury Estates but it seems that mod has some navmesh problems and dirty edits, so, it's not a priority either.